To reserve your inspection time, call (312) 217-5249 today! Acuity is proud to offer a variety of inspection services to meet your individual needs. Pre-Purchase Inspections: Know BEFORE you close! 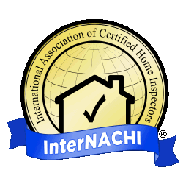 Waiving your right to have an independent home inspection can be a costly mistake! your property, Acuity can provide the knowledge and service you require.